I had no idea how to adequately capture beauty and scale of the Grand Canyon. The shadows created by the setting or rising sun make the task easier than I thought. 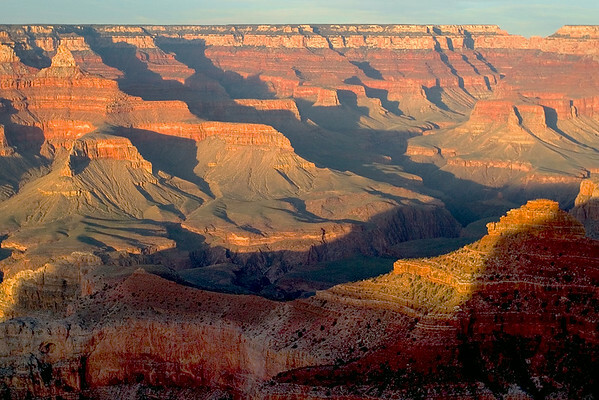 I never had a great desire to visit the Grand Canyon, but once I saw it, I was awed. It really is as spectacular as people say.